The constant evolution of BI solutions is keeping data-driven organisations on their toes. The BI systems and tools that are perfectly in line with the industry’s latest trends today might be sub-par tomorrow. This requires complete and utter vigilance from business leaders and CIOs to ensure their organisations make the most out of emerging technologies, ideas and trends. This time we’ve done the heavy lifting for you – here are four solid BI trends to watch next year. What is 'master data'? While there is no one definition yet, it can be loosely described as a single unified set of business data that encompasses customer, supplier and product data, and everything in between. The need for master data arises from common issues concerning data completeness, validity, uniqueness, consistency, timeliness, and accuracy within data-driven organisations. With the rapidly growing data volumes as well as internal and external data sources, having one master source of data is becoming essential to avoid complete chaos and data discrepancies that are bound to occur. Enterprises that fail to look after their data suffer real consequences, including bad strategic decisions, inconsistencies, multiple data copies, low trust in data, and so on. In the business intelligence context, data quality management is one of the key priorities of any organisation. After all, the emerging self-service BI and AI-powered tools can only provide value if the underlying data quality is maintained at the highest level. The trend of a central unified database for all systems will continue to grow next year, forcing organisations to think strategically about how they use and manage data on a daily basis. 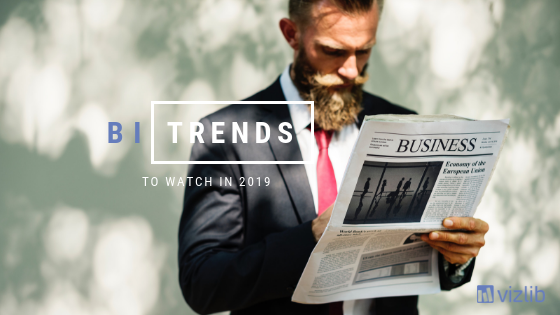 Data discovery has been at the top of BI trends list for a while and it’s easy to believe that it will continue to drive CIOs’ agendas in the foreseeable future. Organisations often rely on data scientists and their complex analytical tools to glean insights from large sets of data and produce on-demand reports. The trouble with those kinds of reports is that they are often difficult for non-technical people to digest, making the data analysis complicated and time-consuming. It shouldn’t be this way. Data visualisations tap into our brain’s capability to recognize patterns and take in information almost at a glance. Using tools such as pivot tables or heatmaps to navigate complex data visually makes it significantly easier, faster and more intuitive to identify outliers and find better insights. Plus, they are unquestionably more appealing to look at than rows upon rows of numbers in data tables. 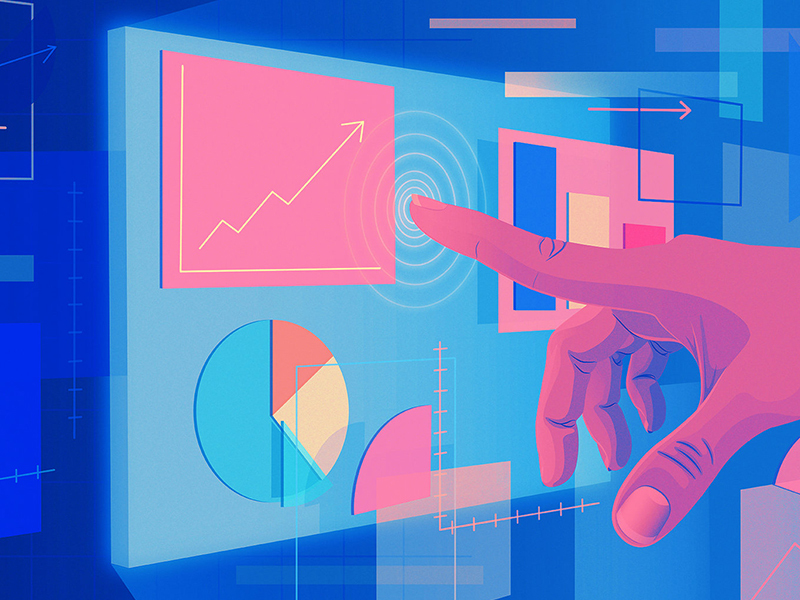 As a result, visual analysis is a much sought-after feature by enterprises seeking more efficient ways for decision-makers to absorb data and make better-informed decisions. It’s safe to predict the trend will continue shaping businesses in the future. “By 2019, self-service analytics and BI users will produce more analysis than data scientists will”, says Gartner. According to Gartner’s recent survey of more than 3,000 CIOs, BI is the top differentiating technology for their organisations. Top-performing CIOs consider BI to be the most strategic technology area, so it’s unsurprising that it also receives the most new investment within organisations. This has resulted in a rapidly growing number of organisations that are striving to implement self-service capabilities to create a data-driven culture, empowering users across the organisation to use and benefit from effective BI and analytics tools. Self-service BI tools like Qlik Sense and Vizlib put the power of BI into the hands of all employees, enabling anyone to create on-demand reports and driving favourable business outcomes in the process. Instead of waiting for the IT department to produce a report, employees at all levels will soon be able to pull out a report themselves, saving a great deal of time for everyone and increasing organisational agility. With the spreading adoption of self-service BI, we will also see a growing need for better data governance processes. Administrators will need to ensure that the right people have the right authentication levels at the right time to strike a balance between data democratization and data governance. “By 2020, AI will create 2.3 million jobs, while eliminating only 1.8 million jobs”, says Gartner. The public’s wild imagination has painted artificial intelligence in bleak colours, but it’s nowhere close to replacing analysts in their day-to-day jobs. In fact, when used appropriately, machine learning will make data scientists and analysts more efficient, nimble and precise, expanding opportunities for businesses and improving the decision-making processes. With the help of AI simulation and modeling techniques, businesses will get better at leveraging big data and will smoothly shift from reactionary to proactive decision-making by taking advantage of real-time insights. Enterprises that operate in ever-changing environments will especially benefit from this AI-empowered ability to adapt and learn rapidly, ensuring that the decisions they make today are better than the ones they took yesterday. Since organisations are drowning in staggering amounts of data, making the right strategic decisions in time is becoming incredibly difficult. Thankfully, the leaps in machine learning and AI continue to upgrade BI tools to match modern-day business needs and assist in rapid decision-making. There won’t be a robot uprising any time soon, but businesses are about to get a good taste of the future. Whether your organisation is at the forefront of technological innovation in the BI space or you’re constantly playing catch-up with new and emerging must-have tools, one thing should be absolutely clear – data-driven organisations must develop and implement an internal BI strategy that helps them correctly evaluate their needs and cherry-pick the right solutions.